Hello all! 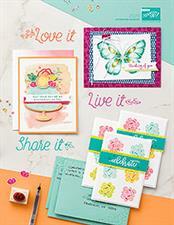 There are 13 more days to take advantage of Stampin' Up's "mini" starter kit offer of $85!! The price of the "full size" kit is $199.00 and includes more stuff (DUH) but the $85 kit is a great deal to GET STARTED...then everything you order is at least 20% off after that. Instant 20% off all your stuff! You can be a hobby demo - you don't have to ever sell anything to anyone else besides yourself, have workshops or get bookings. You have until the end of December to make your first quarterly minimum! If you want to be only a hobby demo, I will buy the business supplies in your kit from you, dropping that $85 even further! 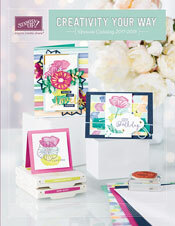 If you sign up under this promotion, receive your choice of stamp sets from current catalog from me! YAY! Tax Holiday Sale on selected Stampin' Up stuff!! !